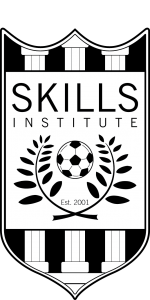 Skills Institute is a developmental soccer program for boys and girls ages 5-10 years. With a 8:1 player to coach ratio, players will receive plenty of one on one attention as they explore their potential in the target areas of soccer. Classes will be offered in groups by age and skill level. Throughout each session players will be evaluated, experience chalk talks, video analysis, and the occasional homework assignment to practice at home. Players will walk away more confident, equipped for their next right step, and ready for life’s challenges on and off the field. We offer many different class levels offered based on AGE and SKILL LEVEL. Twelve (12) classes per session (one class per week). Skills Institute T-shirt and Skills Institute Award Medal included. Trained Instructors use a weekly curriculum but have the flexibility and experience to tailor the instruction for each specific class. All children learn the important social skills of playing with other students, teamwork, listening to instructions, and learning to interact and form a positive bond with their soccer coach. Jon Martin, Director of Lil’ Kickers, or an NCSP Manager is available by phone at 858-748-4260 to answer any general questions you may have regarding the best class level for your child. We look forward to having your child join the NCSP Lil’ Kickers Program! The focus will be on basic fundamentals of player development: dribbling, passing, shooting, trapping and how to use them effectively in a game. Level 1 will take players through weekly sessions of fundamental skill building and competitive drills/games to develop self-confidence in practice and game situations. Player to coach ratio is 8:1. Focus will be on continual development of individual technique, history of the game, positioning, and speed and agility. Level 2 will take players through a challenging 1 hour weekly session of driving competence of the fundamentals, defining of positions, and development of personal strengths and how to contribute those strengths to enhance team play. Player to coach ratio is 8:1. Focus will be on individual position specific training, tactical insight, systems of play, as well as speed and agility. Level 3 will take players through a challenging 1 hour weekly session of mastery of the fundamentals, position responsibilities, tactical approaches, as well as attacking/defending. Player to coach ratio is 8:1. 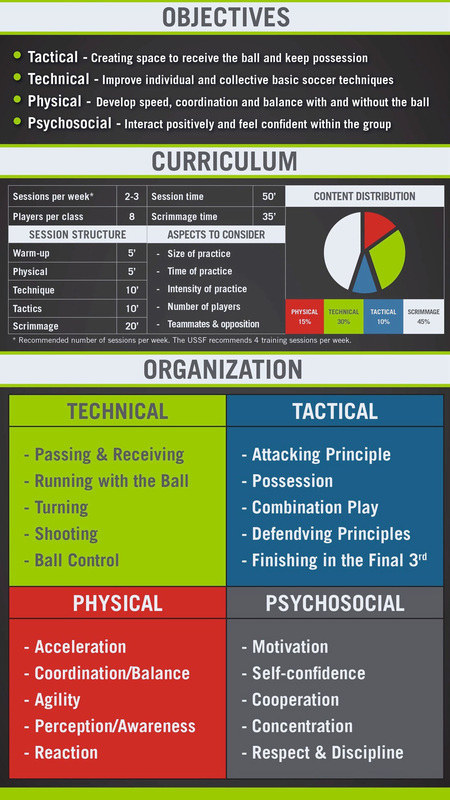 This is a great crash course on smaller modified systems of play for teams who have not played indoor soccer or modified outdoor. We are a business that caters to both the beginners, recreational player and the competitive one through a variety of leagues and classes. The North County Soccer Park (NCSP) was founded in 1986. At the time, it was one of San Diego’s only arena soccer facilities. Since that time, it has become an icon in the San Diego soccer community and serves them seven days a week. It is San Diego’s most successful and longest running arena soccer facility.